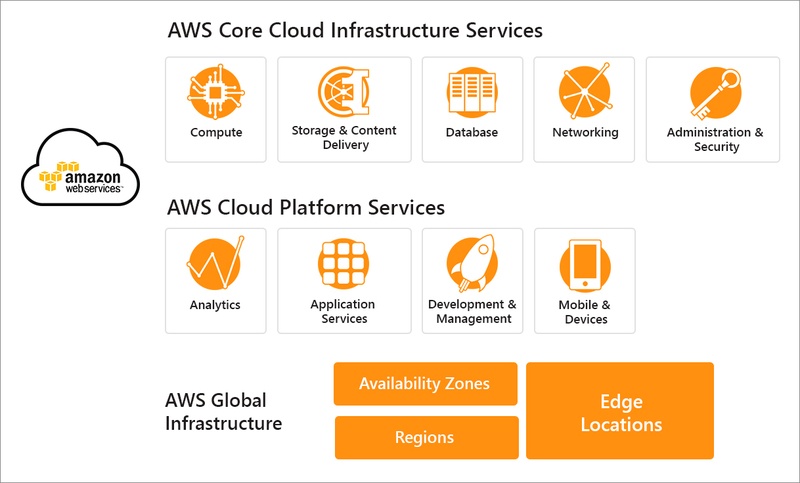 Amazon Web Services offers a broad set of global compute, storage; database, analytics, application, and deployment services that help organizations move faster or scale applications at low IT costs. With Sysfore’s global client base across India, USA, EMEA and ASIAPAC we have assisted the largest enterprises and the hottest start-ups to power a wide variety of workloads including: web and mobile applications, data processing and warehousing, storage, archive, and many others. Today, Amazon Web Services provides a highly reliable, scalable, low-cost infrastructure platform in the cloud that powers hundreds of thousands of businesses in 190 countries around the world, with data centers in the U.S., Europe, Brazil, Singapore, Japan, and Australia. Sysfore works with your team to provide consulting services to cater to your business requirements on the cloud. We assess your ongoing needs to devise a packaged solution that best suits your needs and budget. With our extensive experience in cloud computing, we can assist you to deploy the scalable solutions provided on the AWS platform. With Amazon Web Services (AWS), you can provision compute power, storage and other resources, gaining access to a suite of elastic IT infrastructure services as your business demands them. With minimal cost and effort, Sysfore helps you move your application to the AWS cloud and reduce capital expenses, minimize support and administrative costs, and retain the performance, security, and reliability requirements your business demands. Sysfore helps you plan, build, test and monitor your applications. We have software to support your agile or waterfall development methods across different disciplines. With these tools it will be easy to quickly deploy and get to work. Simplify cloud management with process automation. With Sysfore, you can now automate all those frequent, time-consuming, and error-prone cloud management tasks. Automation on AWS helps you spend more of your time focused on work that adds business value. By reducing errors and boosting efficiency, it can also help lower your operational costs. Sysfore Managed Services for Amazon Web Services delivers monitoring, maintenance and management services by experienced administrators who are experts in cloud computing. As an official Amazon consulting partner, Sysfore provides the needed support where AWS Support leaves off. Sysfore provides expert knowledge managing Amazon Web Services, expert technical support; pay-as-you-go managed services support and improved ROI on your cloud investments. With Sysfore’s Managed AWS Services you can rest assured knowing that your cloud infrastructure is fully managed and optimized for your business. AWS storage solutions are designed to deliver secured, scalable, and durable storage for businesses looking to achieve efficiency and scalability within their backup, recovery and archive environments, without the need for an on-premises infrastructure.